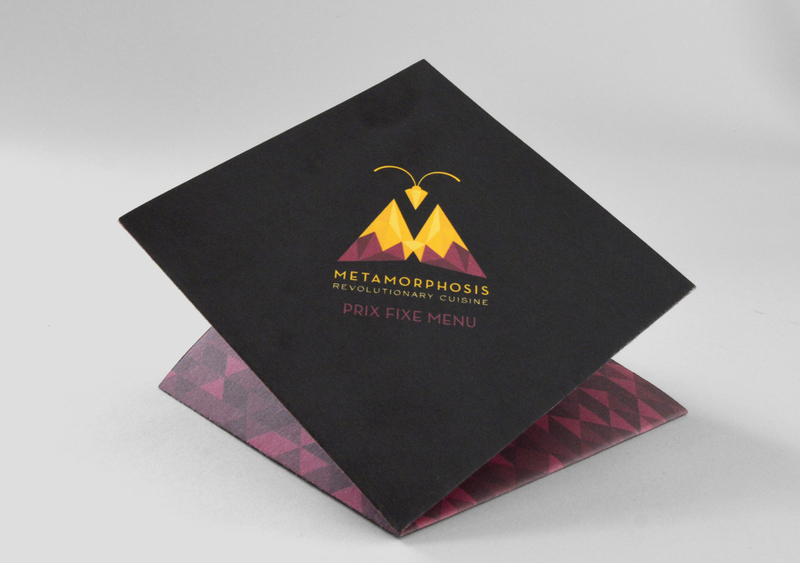 Metamorphosis is a fine-dining establishment that combines entomophagy, the practice of eating insects, with gourmet food. 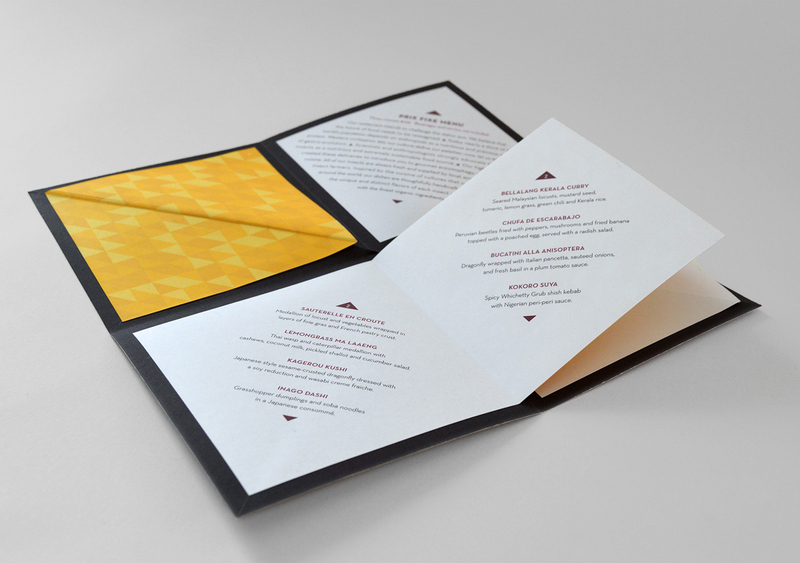 Entomophagy has been practiced across the world throughout human history. Today, scientists & anthropologists strongly advocate the consumption of insects for their nutritional value as well as the low-impact environmental cost of raising insects as a food source. 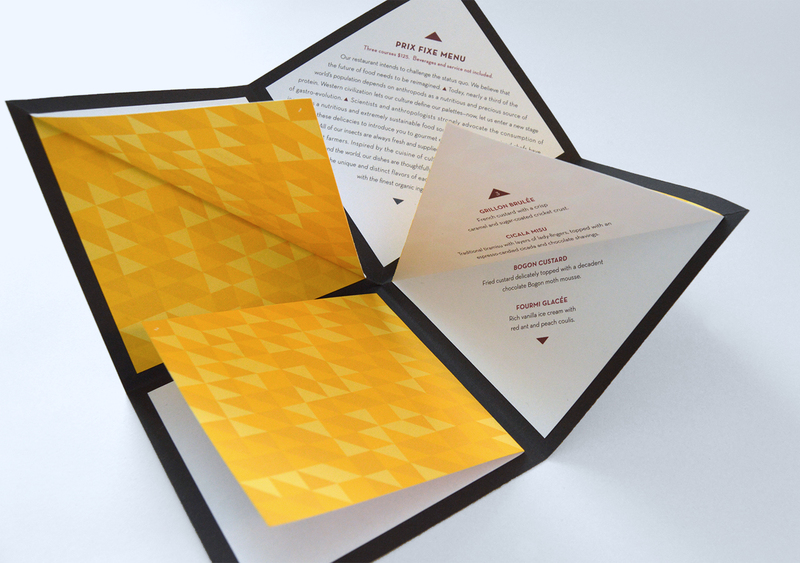 The visual identity of Metamorphosis reflects the elegance of the food. 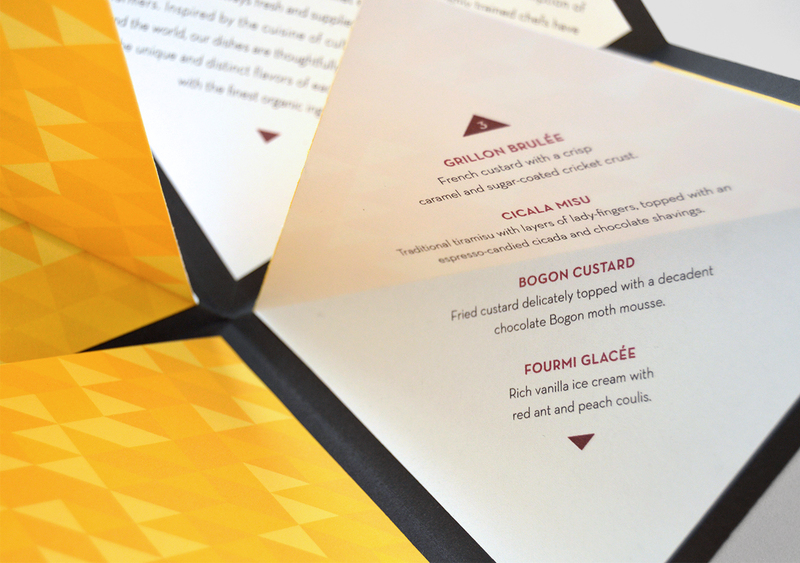 The intricate folding of the custom designed packaging and menu suggest change and transformation. It speaks to flexibility and adaptation in regards to Western culture allowing itself to shed the stigma of “creepy crawlies” and to realize the great potential of insects being a viable and sustainable food.